The Change Catalyst (secrets to successful and sustainable business change) published by Wiley. Author: Campbell Macpherson. Available from wiley.com , amazon.co.uk , amazon.com , booktopia.com.au . 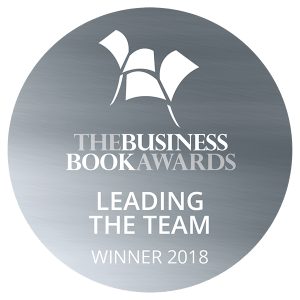 “If you are looking for some pacey pages packed with the insight, tools and know-how needed to ensure your next change is the one in eight that succeeds, you’ll do well to pick up this book.” Institute of Leadership & Management Chairman, Andrew Sharman. “Possibly one of the most informative and influential books you will have the opportunity to read this year” The HR Director Magazine. 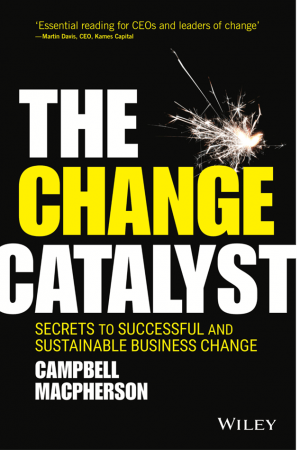 ‘The Change Catalyst (secrets to successful and sustainable business change)’ was published worldwide by Wiley in May 2017. Available in hard back or Kindle from Amazon.co.uk , Amazon.com and Booktopia.com.au. 88% of change initiatives fail. A similar proportion of strategies, mergers and acquisitions suffer the same fate. ‘The Change Catalyst’ provides business leaders with the insight, tools, methodologies and approach they need to ensure that their change initiatives are among the one in eight that succeed. Change is inevitable. Successful change isn’t.